Thank you for visiting the City of Senoia Police Department’s Official Website.The Senoia Police Department is committed to providing professional law enforcement and public safety services to all citizens of and visitors to our city. 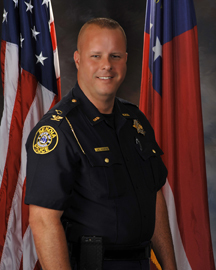 The traditional concept of community policing is currently practiced in all areas within the City of Senoia. Our Police Officers are role models for the children and become familiar with the residents thus creating a more approachable atmosphere. I welcome any citizen comments, concerns or feedback. Please feel free to contact me at (770) 599-3256.